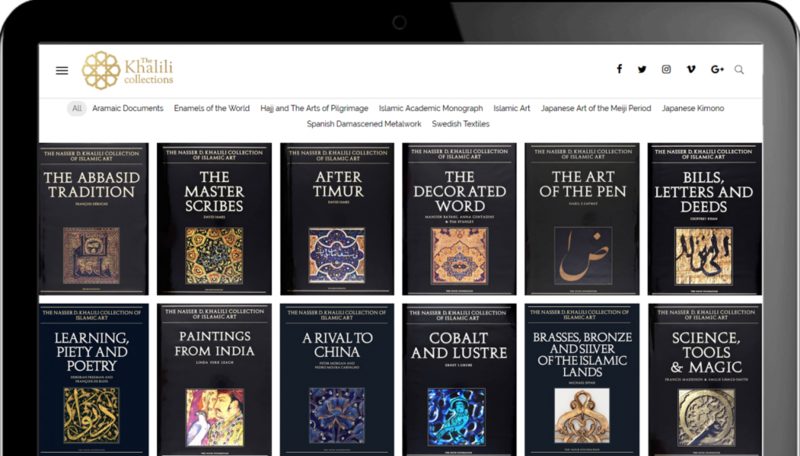 As a world-renowned scholar, collector and philanthropist, Professor Nasser David Khalili’s objective was to match his magnificent collections with a modern and elegant digital presence in order to support his inspiring mission to use the power of art and education to foster peace and unity worldwide. Nocturnal Cloud provided a comprehensive tailored service including the development of a Brand Identity, Digital Marketing, Social Media, Film Production, Website Curation and Application Development Services, providing attentive care to our distinguished client. 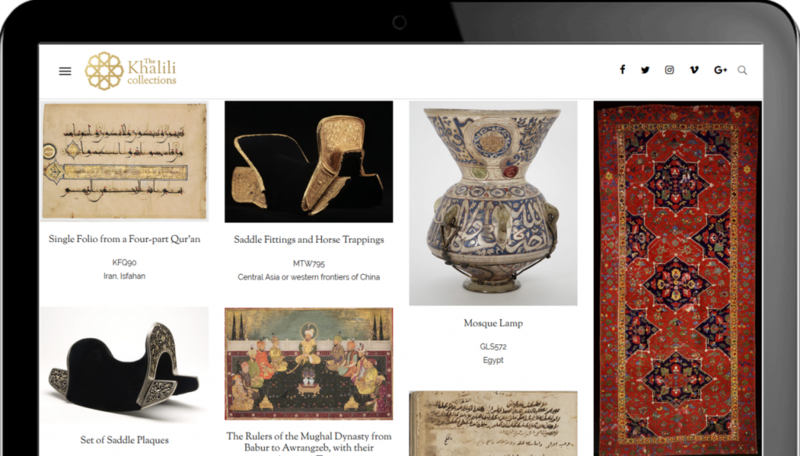 Bespoke website for his towering art collection of over 30,000 pieces with an advanced zoom function to permit academic-standard study of the artefacts. 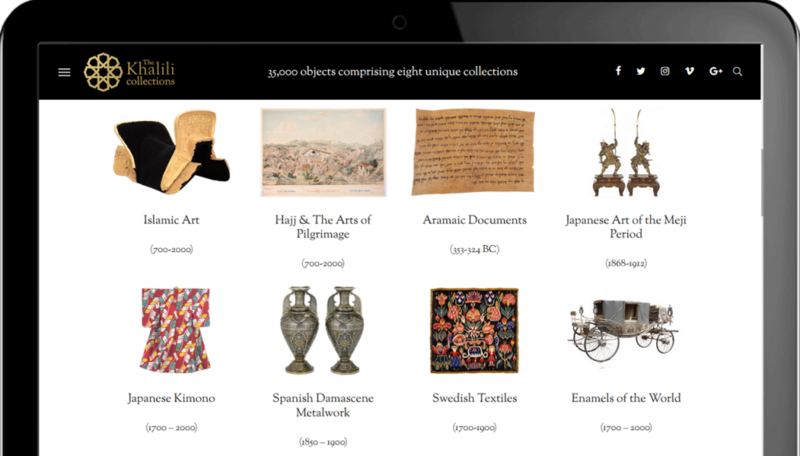 Elegant museum-type page layouts to tastefully display the collections. 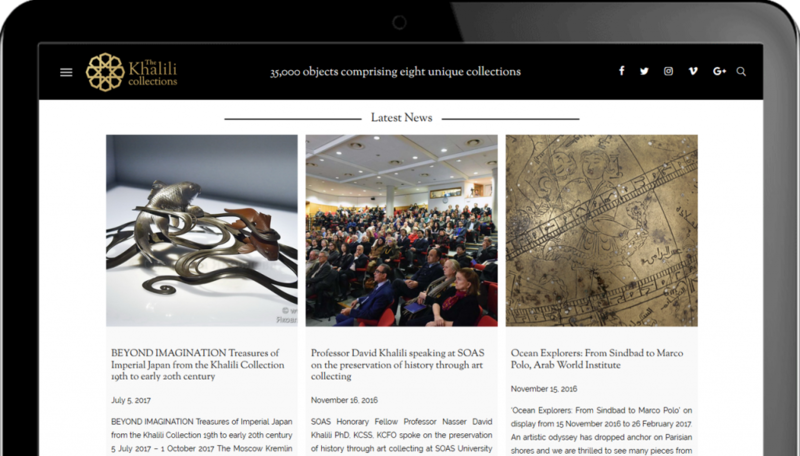 Sleek bespoke timeline with management functionality designed to encapsulate Professor Khalili’s past, present and future achievements to be uploaded to the website along with organic dynamic news. Matching the sophisticated design, we used advanced optimisation tools for search engine prominence for all content. Full integration of all social media platforms. Advanced media search filtering allowing users to find all files with ease by refining searches for video playback, images and text. Website hosted and served on our fully managed High Performance Dedicated Servers. Design of an engaging logo and creation of a brand identity. Comprehensive social media setup and management. Social Media campaign deployed to raise awareness of Professor Khalili’s life’s work and achievements. 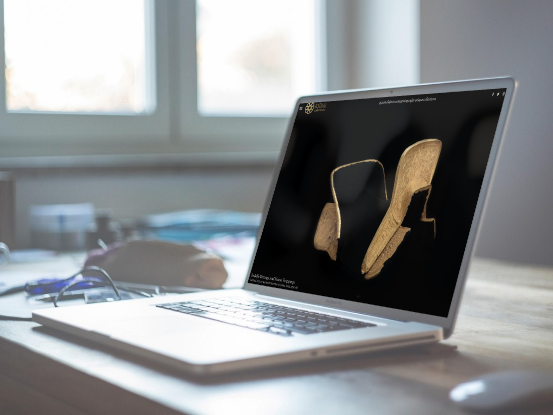 Having spent a single day with Professor Khalili, our specialist film production team went above and beyond by producing a short and engaging website introduction film demonstrating our ability to maximise efficiency and work within constrained deadlines. Additionally, we designed and produced a series of Instagram shorts for promotional use which have had an excellent response.